Lauri was interested in whitening her teeth and was concerned about some progressing decay around her current veneers. To find out her options, she completed the records process with Dr. Elizabeth. 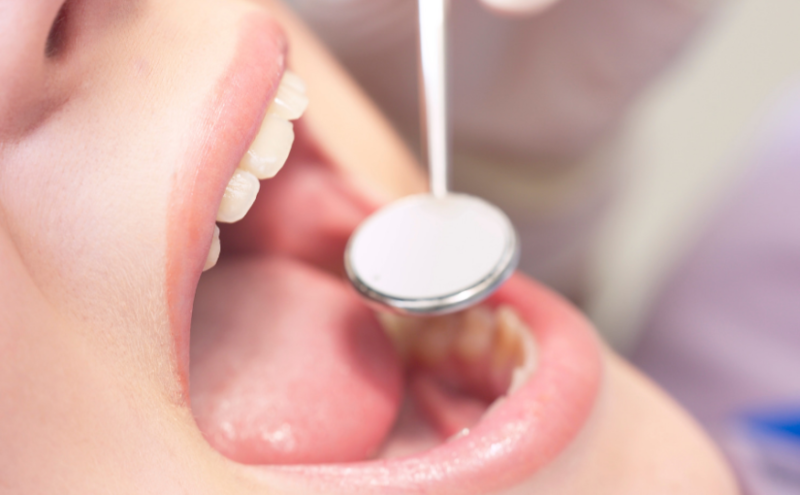 This process allows our doctors to use models, x-rays, and photos of the patient’s teeth, gums, and bite to better understand the cause of any problems and determine the best course of treatment. Lauri was invested in improving both the health and beauty of her smile! Lauri was very interested in our KOR bleaching option, but also wanted to ensure the decay that was found was also addressed. She was interested in using this opportunity to have new veneers made to take her smile to the next level. Dr. Elizabeth took all of her requests and desires into consideration during the records process and incorporated that into her recommendation. During the treatment presentation, Dr. Elizabeth gave Lauri some recommendations to consider such as orthodontics, replacement veneers, splint therapy, and discussed whitening as well. Lauri decided to move forward with a consultation with an orthodontist to get more information. After a lot of consideration, she decided orthodontics wasn’t right for her at this time. Therefore, splint therapy was started to confirm a consistent jaw position before completing new restorations. During this time she was also fitted for KOR bleaching trays to use at home and received her KOR in-office whitening treatment. By doing the KOR bleaching, Lauri was able to minimize the number of veneers she had fabricated as her color was improved for her lower teeth with the bleaching alone. Lauri had veneers done in the past so the procedure wasn’t new to her. She is excited to say that she does like her teeth much better now that she had them re-done. She really wanted her new teeth to match the shape and contours of her previous veneers and was focused on improving the color, but still wanted her teeth to look completely natural. She thinks the outcome was a “slam dunk!” We asked Lauri if she would recommend this procedure to someone who unhappy with their smile and she replied, “If they didn’t like their teeth, they should do it – unquestionably!” We just love looking at that beautiful smile! If you think veneers might be the smile solution you’re looking for, contact Eggert Family Dentistry today!